The fastest and easiest way to sign up, sign in, checkout, and switch payment methods across thousands of your favorite websites. 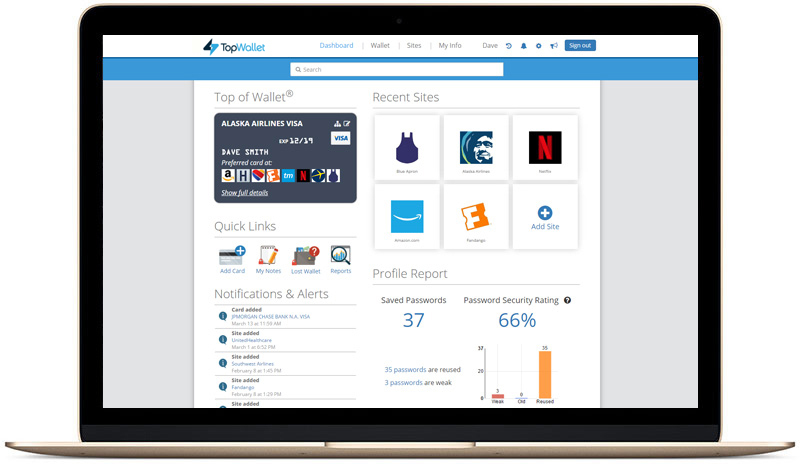 Access your online accounts with one click from the TopWallet dashboard. replacing a credit or debit card online is painful.